Its only good to be stubborn when you are right. If you are stubborn and wrong, it can be dangerous. Especially if it deals with spiritual right and wrong…as that kind of stubbornness is eternal. Are you currently being stubborn and continually finding yourself in the middle of conflict? If so, it is usually because of only two possibilities. When two visions are stubbornly in conflict and one is right and one is wrong…then it should be easy to correct this problem…the one that is wrong needs to be asked to change or leave. The greater challenge is when two people/groups, who are both right, are being stubborn about something. The most common way this happens is when two individuals or groups have “right” visions for the future, but they can’t get unity on just one. Usually one of the right ways is simply not right timing anymore. (When people say, “That’s how we’ve always done it,” they are right in how they used to do it, but it is no longer good timing to do it that ‘right way’ anymore.) Two right ways stuck in disagreement are always a great challenge. What do you do now? Who gives in? It depends who the leader is, and the vision that leader has brought to the table. Leadership matters. Leadership is influence. Is the leader you are being stubborn towards higher in position than you in the hierarchy of the institution? (Please don’t tell me that you work in a non-hierarchical atmosphere) If you say that…you’re not only stubborn, but naive too. The buck always stops somewhere. If the buck stops with you, and you still aren’t moving forward, then that’s another blog about courage for another time. Organizations / Churches / families / businesses / individuals, get stuck when, ((‘Who is the leader?’)) can’t be answered with unity. Where does the buck stop? 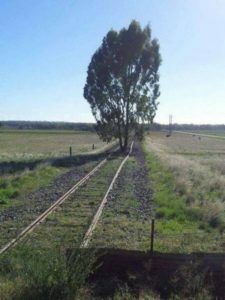 (This question is a huge problem with too many people/orgs) If you are not the leader and can’t entrust the leader with the ‘buck-stops here’ and the vision…then you have to move on…get your roots out of the way…or you’ll derail the whole thing. Why would you want to derail the direction, mission, vision of something good? Pride, Jealousy, Greed, Arrogance, Anger, did I miss one? Obstacles remain obstacles because of the lack of courage in the highest leader. The whole vision will remain stuck if the leader doesn’t know how to courageously remove the tree growing in the middle of the tracks. We stubborn people need to deliberately have our roots grow down deep. May we, in our lifetime become towering trees with deep and healthy roots. And may we be intelligently stubborn with where we choose for those roots to grow. “Your roots will grow down into God’s love and keep you strong. 18 And may you have the power to understand, as all God’s people should, how wide, how long, how high, and how deep his love is. 19 May you experience the love of Christ, though it is too great to understand fully. Then you will be made complete with all the fullness of life and power that comes from God. If you are encountering ‘trees’ with deep roots continually blocking your path, contact me, and we can talk through some godly strategy and wisdom about the business of tree removal. I’ve experienced it multiple times, and each time I handle it, it gets a little bit better. Not easier. Better. Got a decision that needs to be made? I’ve encountered groups of people recently, and not so recent, who customarily, in the face of a decision, freeze. If you’ve experienced this too, then you know the heart ache of watching hope and progress get stuck in the mud. It’s tragic. Knowing what is essential to save the life of your organization/family/personal life, etc, or at least reinvigorate it, is not too difficult anymore. Social media, and our small-world of networking, is making it easier to ask for help and find similar situations from which to gain confidence and determine the best course of action. Fearful people are also afraid of admitting they are afraid…So…they camouflage their fear under the excuse of needing more time….explaining it away as being responsible and good stewards. In a meeting of fearful people, with no risk taking leadership in the room, fear will win every time. It’s why the org is stuck and rarely ever breaks through the next growth barrier. In all reality, the only growth barrier any organization has, is a lack of courageous and wise leadership. If the fearful have control…the org gets stuck in a rut. The only difference between a rut and a grave, is six feet. In the Church-World, where I am thankful to get to lead, the decision making for mission accomplishment, is where God is swiftly moving and leading us. He’s running ahead of us looking back with a big smile, beckoning us to keep up. If we move to slow or not at all…well…the Lord will out pace us, and will move out of sight very soon. He will keep moving, without us, and find a courageous leadership team who can keep the pace with Him. This creates a missed growth opportunity for everyone in the Org, tragically, due to a few fearful types controlling the speed of the whole thing. What a missed opportunity. Fear motivated leadership creates an Org that continually misses out on opportunity for character building, growth, health, and mission accomplishment…and ultimately…victory! The work of a great leader is to make tough decisions. In the faith world, those decisions need to be made in wisdom and with speed. Decisions in Church world, have the Creator of the sun, moon, and stars leading and backing them. That same creator commanded us to, “GO!” And, my experience has proven that God moves swiftly when it comes to the Great Commission. He’s patient with us personally, but that is different than being slow in accomplishing the great commission and stepping out in faith as the Church. Surround yourself with wise, faithful, and holy people who never allow fear to have the final say! Build great team and trust with them. Surround yourself with people who won’t bow and submit to the fake god named fear. Surround yourself instead with people who hunger to fit in the ranks of the greats of biblical history who did astounding things for God and His Kingdom. God is perfect love, and perfect love casts out fear! You have an adventure that God wants to orchestrate through you…be faithful, not fearful, and get ready for an adventure that will carry rewards into eternity! Life is short. Decide. Make a decision now. Count the cost, and decide! Make the decision a yes or a no…and either one will have inevitable consequences. Taking more time to decide yes or no will leave you in the dust, in the form of a rut or grave. If you have a decision that needs to be made…Decide Now! And get ready for the consequences, and the next decision, and the next, and the next. Faith advancement requires courageous decision after decision after decision..for the rest of your life. What an adventure! Be wise, and be courageously swift. The answer is Nothing. It’s a hollow tube. 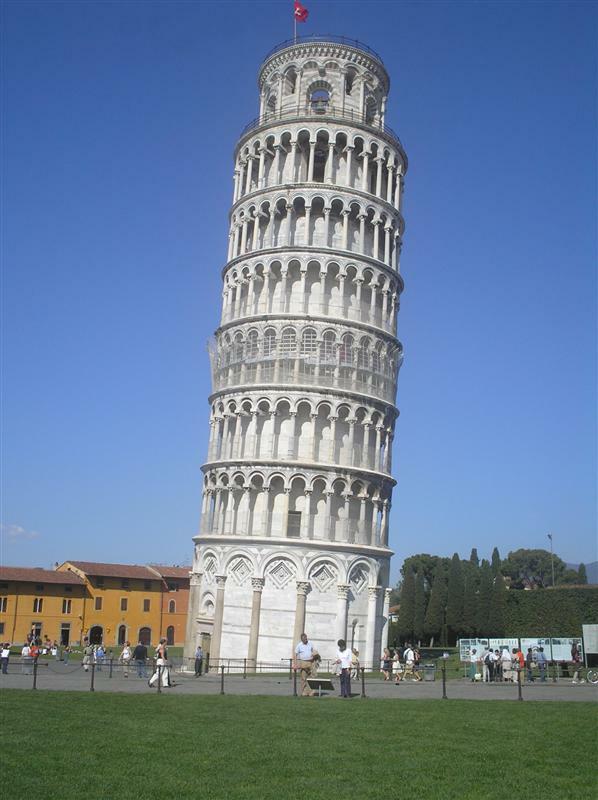 One of the most photographed buildings in the world is empty. But people do not care. It is an iconic building and wows people from all over the world. I love that this is opposite of the reality of the Church. The Church’s building sits empty most of the week…but it’s old news that the Church is not a building. You are the Church. The bride of Jesus. The body of Christ. Get a couple of people like you together, and God is there with you! Grasp that! The big question is, why aren’t people wowed by the Church all over the world? There are negative and positive answers. That Scripture asks a very pertinent question in its last verse. Who is adequate for such a task? The answer: YOU! You are adequate just as you are. Oh, you might have to pick up your cross of sacrifice and live differently than you currently are…but that doesn’t make you inadequate. It just makes you leaning…limping…wounded. But that is what makes you remarkable. I’m not sure I can trust anyone who doesn’t walk with some sort of limp…or lean. The Bible is loaded with historical records of people that limp and lean. I’m grateful for my wounds that cause me to now limp. Your limp tells a story of victory and conquering. Or it should. If you’ll allow it, that thing, that wound, which caused the scarring that makes you limp, will make you even more remarkable…yes, your leaning can make you incredible. There are millions of beautiful buildings around the world…but the ones that lean…they have looooong lines of curious gazers and photographers. You are adequate. You are never empty, if you are the Church. You are worthy. You can live your life in such a way that some people will go crazy wanting what you have. Its not easy. You’ll have to lean into Jesus more than you think is even possible. What religious symbol is your favorite? While religious symbols can be important, the church has focused perhaps too much on them instead of the underlying reality they reflect. The manger is feeding animals again. The cross is vacant. The tomb is empty. May we befriend and honor the One who is still alive and visited each of those symbols for a very specific purpose…to provide us the opportunity to claim full forgiveness. 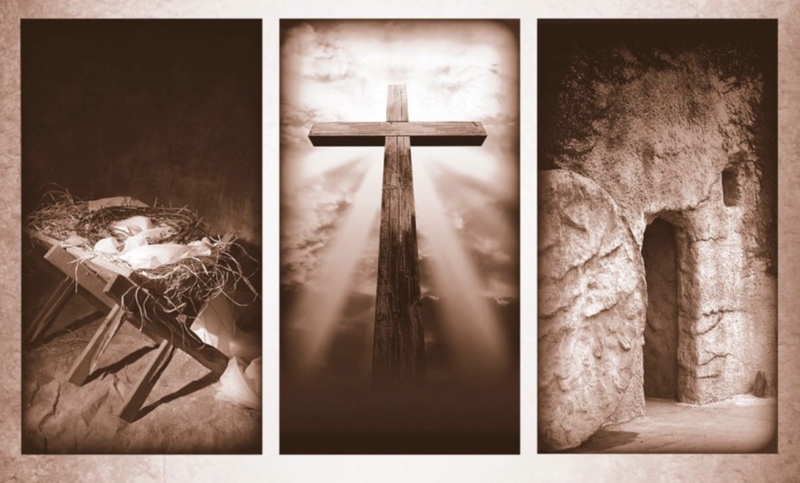 Focus on the living Jesus…not the symbols He used. Jesus is alive and He desires to meet with you daily. Jesus desires you to finish the work He started. He is with us always, to the end of the ages. If I can personally help you in growing closer to your Creator, Jesus, please let me know…I will walk with you. Do you view people with spiritual eyes? If you view, even your enemy through the eyes of Jesus…it will affect how you treat them…no matter how they treat you. Get your spiritual glasses on and wear them everywhere.